The Foundry is our club within a club. The 450 capacity venue includes its own bar, which offers a plentiful drink menu along with our fantastic food menu catered by Wolfgang Puck. 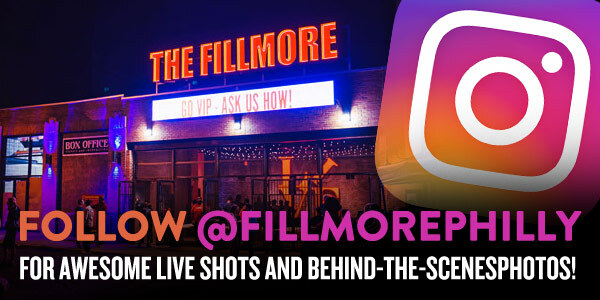 Located on the second floor of the Fillmore, The Foundry stage includes top-of-the-line production and an intimate show experience. Before you leave for the show, be sure to check out our Fan Info page (hyperlink this to: http://www.thefillmorephilly.com/fan-info) for comprehensive information regarding public transportation, driving directions, parking and much more. This is an all ages, general admission event. All attendees require a ticket.